To find other places to visit, where to stay, more things to do, and tourist information, refer to the Wind Cave National Park visit website . Great Bend to Wind Cave National Park is an approximately 9.5-hour car ride. You can also fly. Due to the time zone difference, you'll gain 1 hour traveling from Great Bend to Wind Cave National Park. Plan for a bit cooler temperatures traveling from Great Bend in July, with highs in Wind Cave National Park at 80°F and lows at 53°F. Wrap up your sightseeing on the 20th (Sat) to allow time to drive to Keystone. Mount Rushmore National Memorial has been added to your itinerary. Change things up with these side-trips from Keystone: Custer (Custer State Park, Wildlife Loop Road, & more). It doesn't end there: hike along Presidential Trail and admire all the interesting features of Big Thunder Gold Mine. For other places to visit, traveler tips, photos, and tourist information, refer to the Keystone trip itinerary planning site . You can drive from Wind Cave National Park to Keystone in 1.5 hours. In July in Keystone, expect temperatures between 80°F during the day and 53°F at night. On the 25th (Thu), you'll travel to Cody. To see photos, reviews, ratings, and more tourist information, use the Cody trip itinerary website . Fly from Keystone to Cody in 6 hours. Alternatively, you can drive. July in Cody sees daily highs of 83°F and lows of 58°F at night. On the 25th (Thu), you'll travel to Yellowstone National Park. Yellowstone National Park is known for nature, wildlife, trails, historic sites, and nightlife. Your plan includes some of its best attractions: witness a stunning natural landmark at Grand Prismatic Spring, trek along Artist Point, explore the striking landscape of Artists’ Paintpots, and contemplate the waterfront views at Yellowstone Lake. 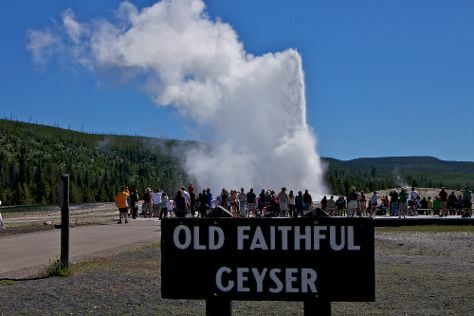 For more things to do, ratings, other places to visit, and other tourist information, read our Yellowstone National Park tour site . Getting from Cody to Yellowstone National Park by car takes about 2.5 hours. Traveling from Cody in July, things will get little chillier in Yellowstone National Park: highs are around 73°F and lows about 39°F. Wrap up your sightseeing on the 28th (Sun) early enough to travel back home.